Shellhouse Seafood serves up the freshest fish in the area at our comfortable, family restaurant. 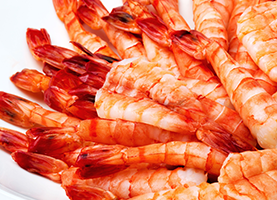 Shellhouse Seafood has been a reliable and trusted provider of fresh and local seafood in Philadelphia, PA for more than 24 years. Our family has owned and operated this business since we established it in 1991. During this extensive period of time, we have been privileged to cultivate and maintain a reputation for excellence within our beloved community. We value our customers’ satisfaction above all else and strive to improve our services each day. High quality seafood restaurants are not easy to come by in our area. That is why we uphold the highest standards of safety and sanitation in our family-friendly restaurant. Our knowledgeable and skilled seafood chefs prepare all of our tasty dishes. We strive to go above and beyond all preconceived notions of customer service and satisfaction and provide each individual guest with a personalized experience made just for them. Our extensive menu is sure to please your entire crowd. 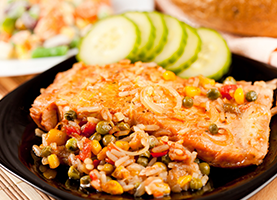 Popular seafood dishes comprise fresh ingredients such as salmon, oysters, clams, crab, crab legs, tuna, and mussels. 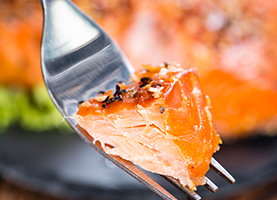 We regularly grill, sauté, or pan fry each fresh fish to perfection using our special blend of herbs and spices. These succulent recipes have been passed down in our family for generations! You can now enjoy your favorite seafood selections in the comfort of your own home with the phenomenal take out service at Shellhouse Seafood. Your favorite fish dishes are just a phone call away. We will have your delicious dinner ready and waiting for you within minutes. Not only are we a fabulous restaurant, we also offer the freshest catches available for sale daily. Our unique seafood market sells a variety of fresh and live fish for your pleasure. We even accept EBT and have a convenient off-street parking lot dedicated to our loyal customers. Visit the “jumbo crab king” today to fulfill all of your seafood cravings.